This beret is knit in the round in a beautiful brioche stitch. Wear it right or wrong side out and you will have two berets out of one. Pull it down to your brows and it looks like a hat. 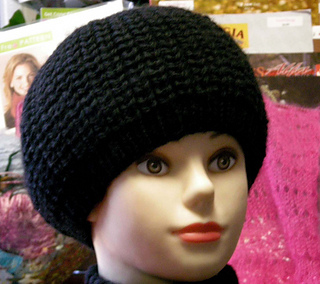 Bulky yarn is chosen for keeping a nice shape of the beret and for warmth.